Since we are within 500 feet of a creek we have to install “erosion control” AKA silt fence between where we are disturbing the ground and the creek. Personally I don’t see the point as there is at lease 200′ of vegetation and while we are building on a hill there is a low spot before the creek that would catch any sediment. But since it is the law we are installing 500′-600′ of silt fence. Silt fence has to be buried 6″ and I started trying to dig and found out that was really hard work. 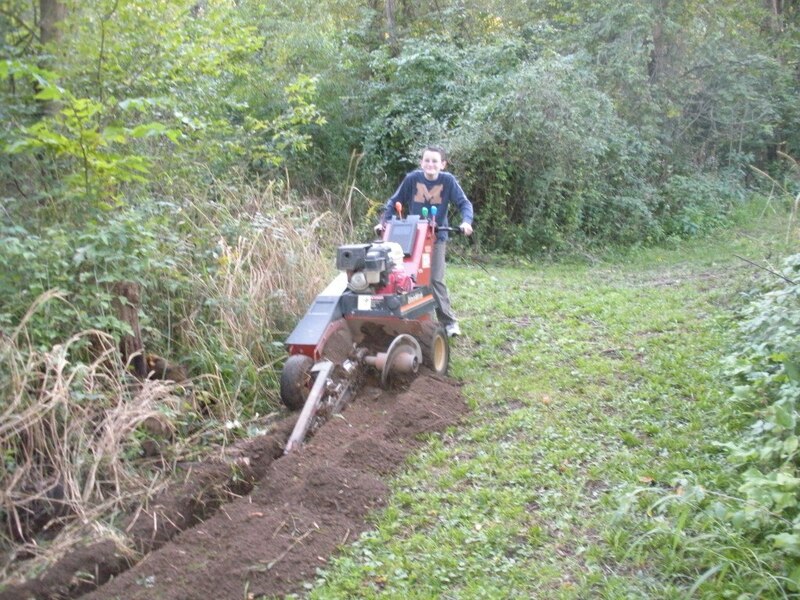 So I rented a trencher and got started. The kids pounding in silt fence.